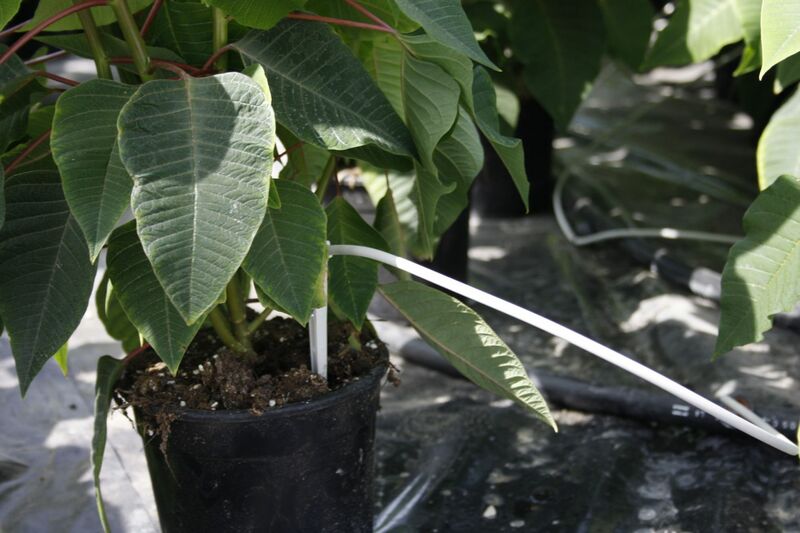 Design and implementation of a comprehensive solution: irrigation, fertigation and humidification system for a flower growing farm. 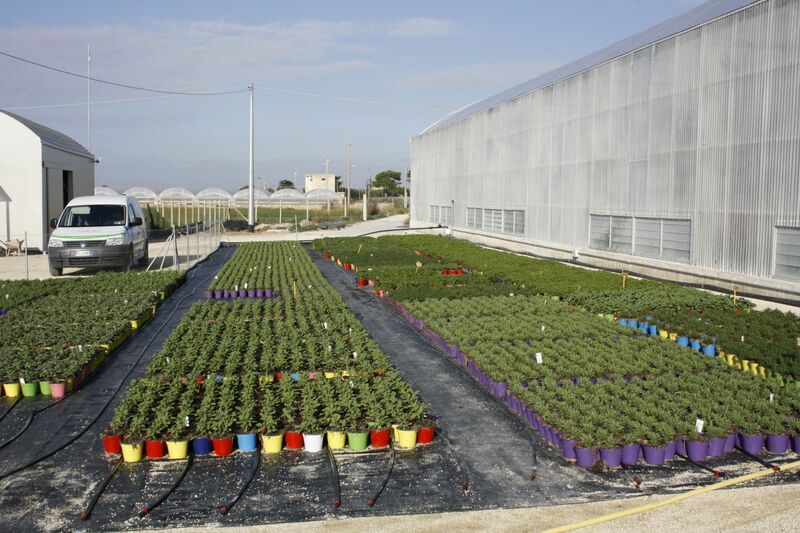 The flower growing farm Florguarino, based in the south-east of Sicily, has a production surface of 8.000 m². 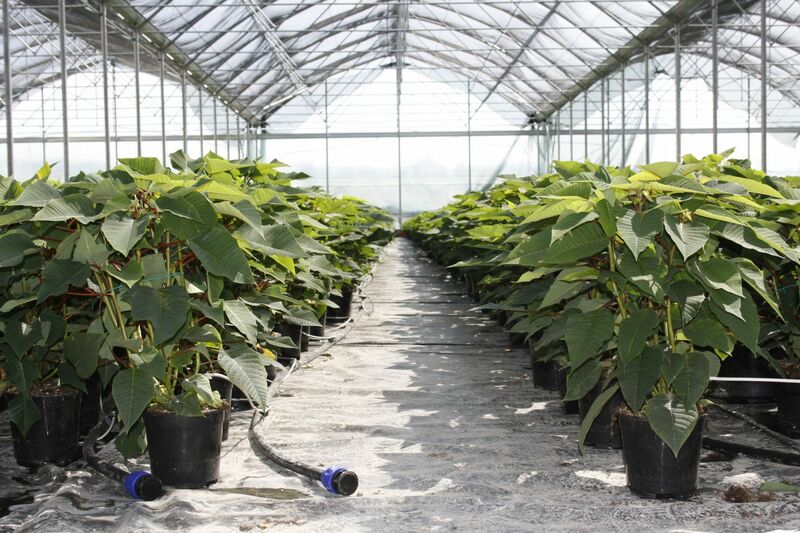 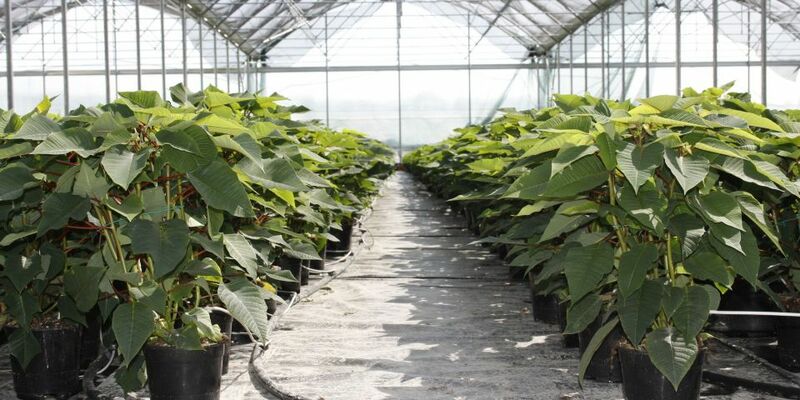 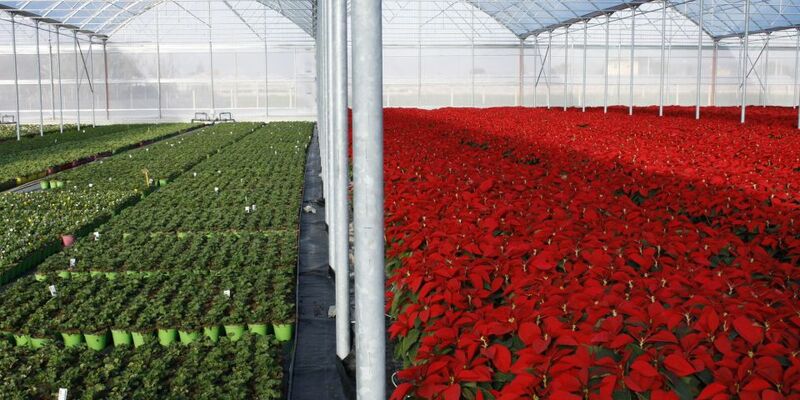 In order to enhance the farm's production we implemented a comprehensive solution for a total control on irrigation, fertigation and climate conditions for its greenhouses. 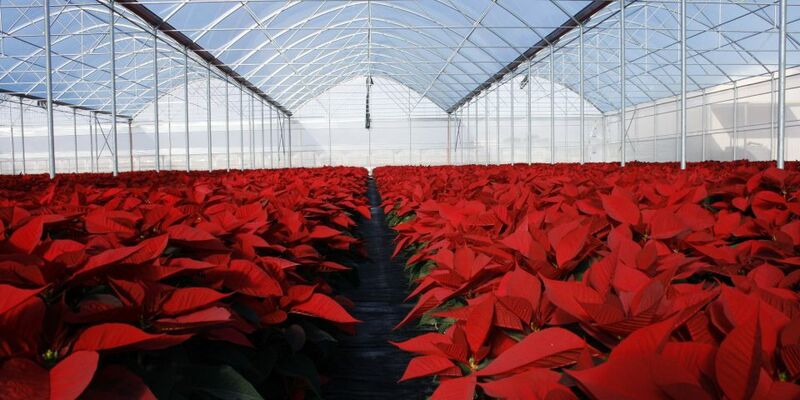 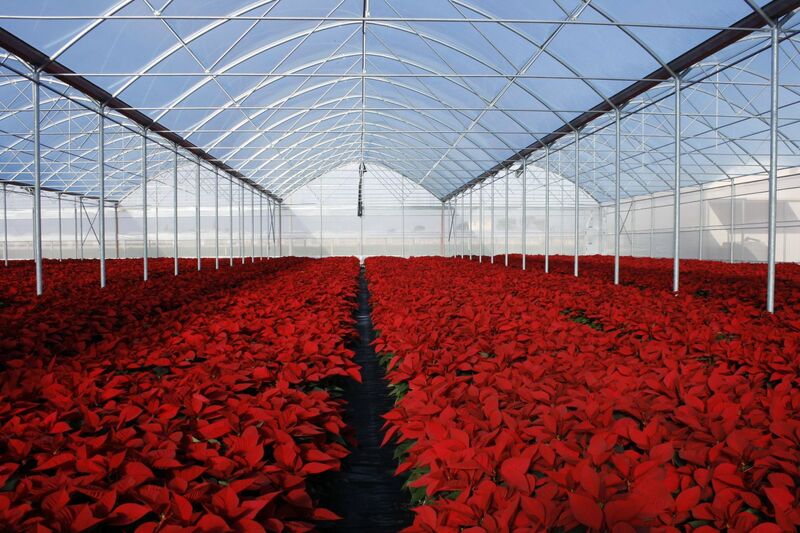 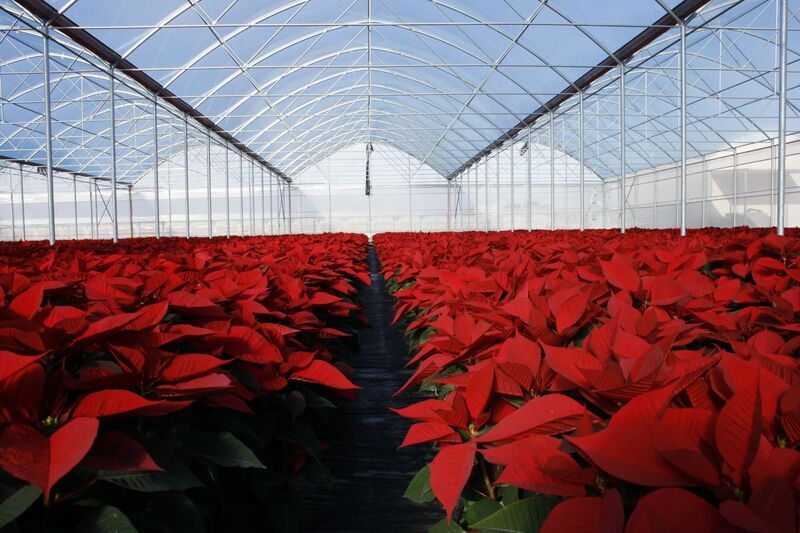 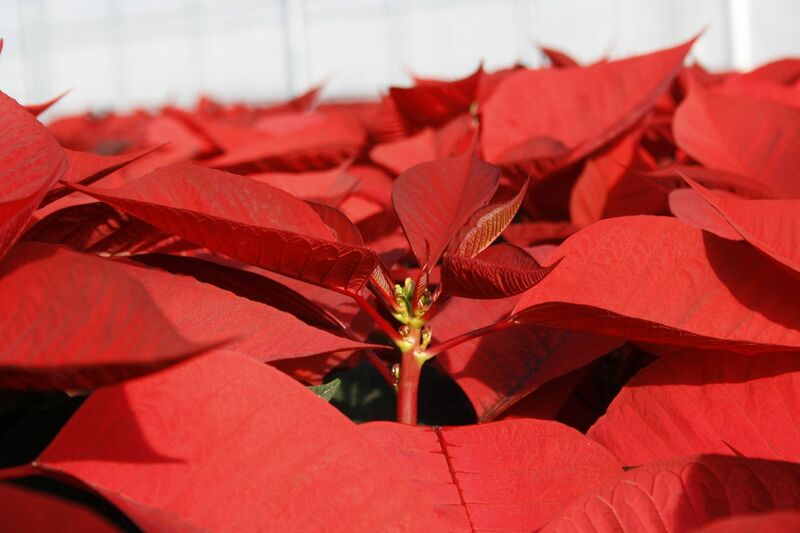 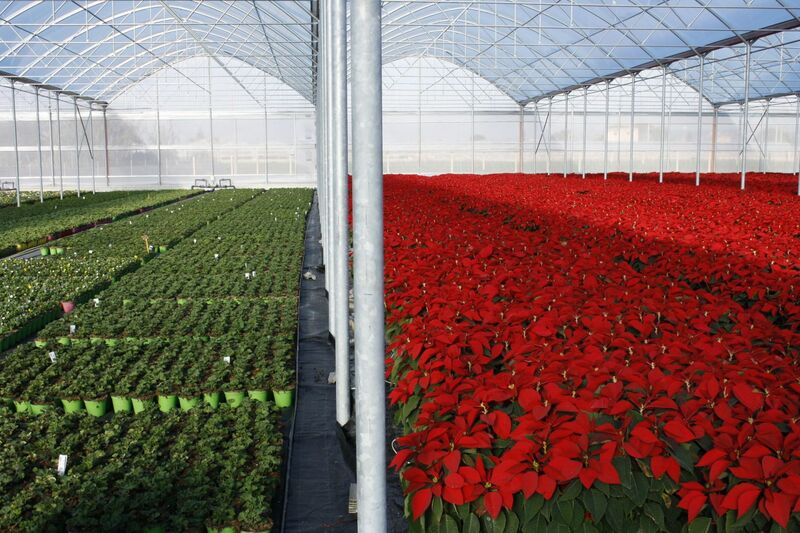 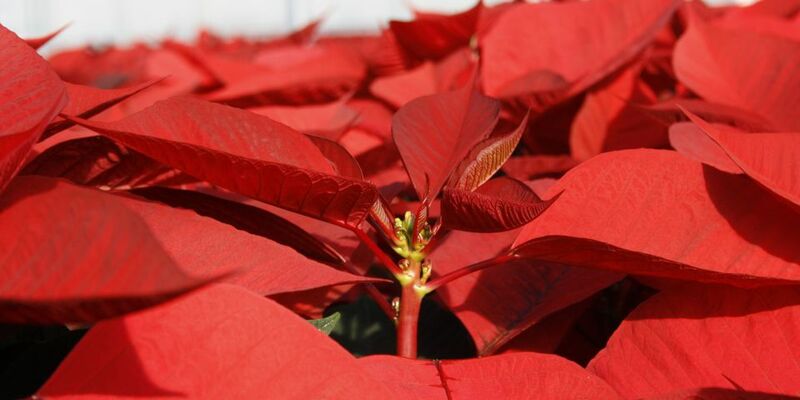 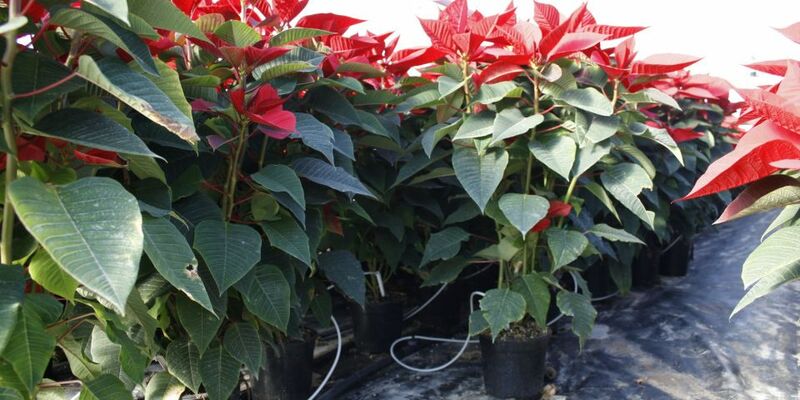 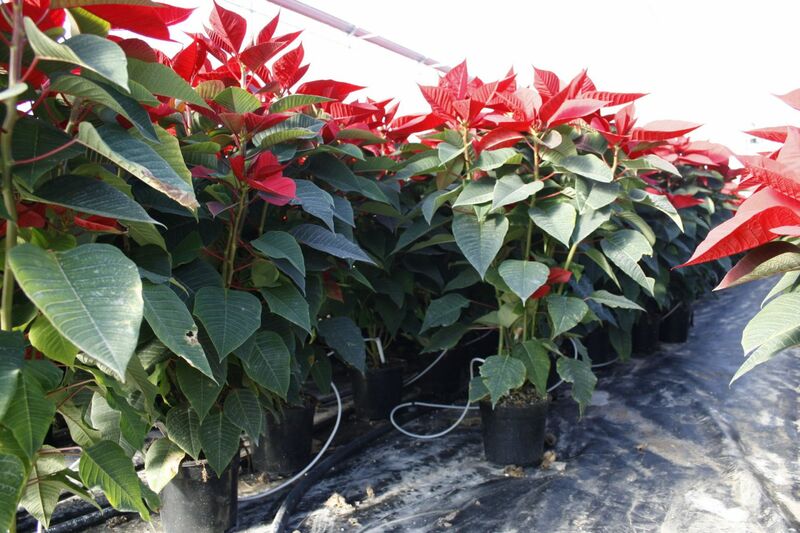 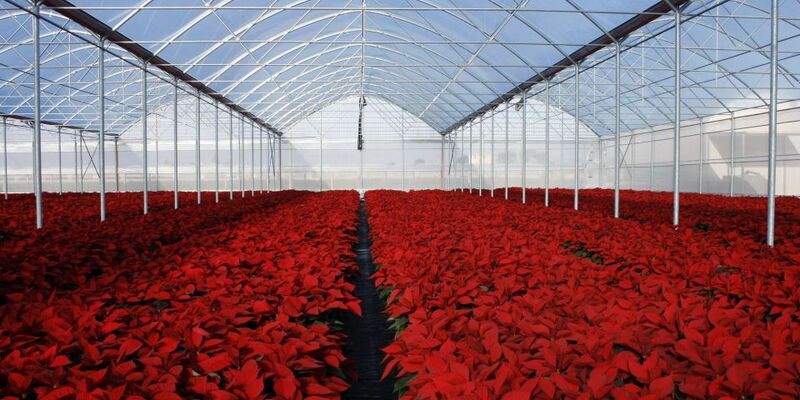 The farm grows and produces intensively and on scale poinsettia, geranium, carnations, roses and more. 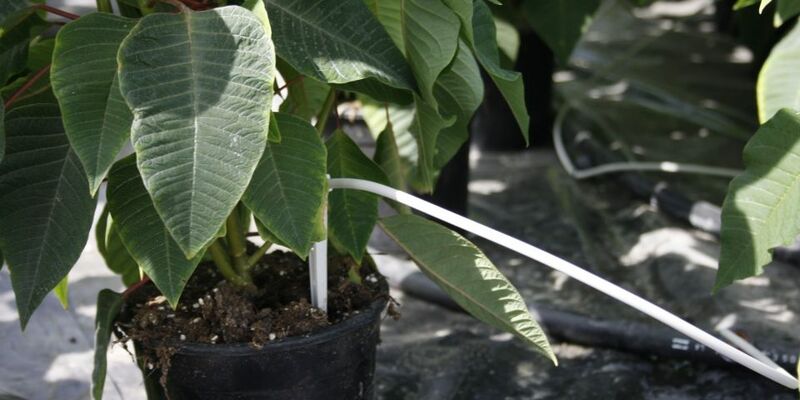 Finally a sprinkling irrigation system irrigates pots from above, with dynamic micro-sprinklers with drop stop valve. 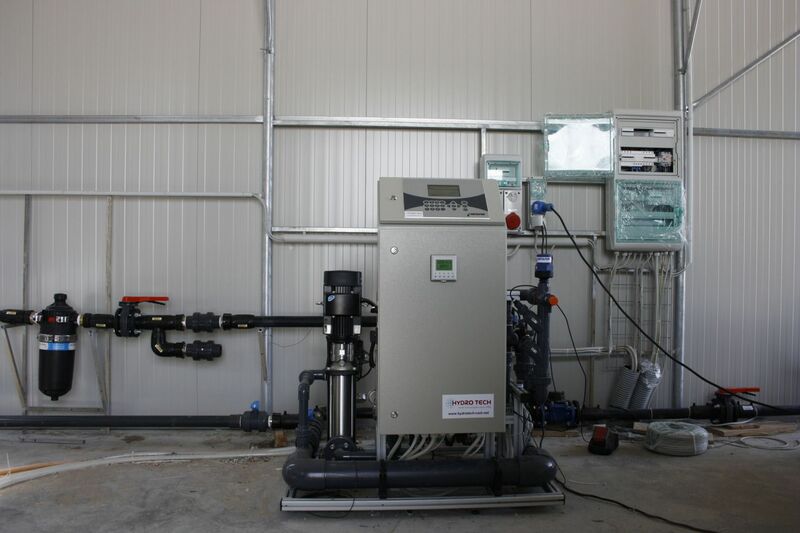 The customer asked our company to enhance the system, asking our team to find a comprehensive solution for its needs; our professionals made a first feasabilty study, designing then a control room and providing a commercial offer of all necessary equipments. 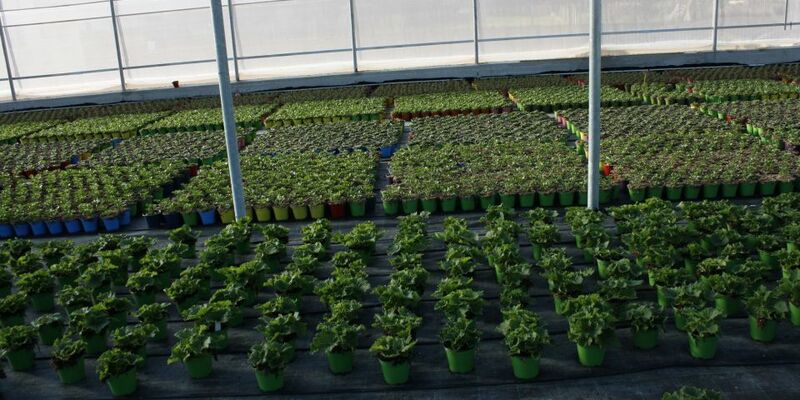 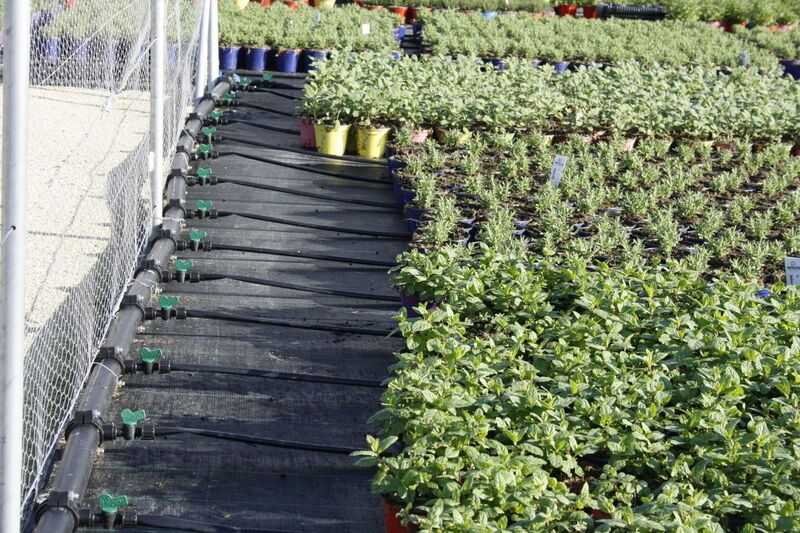 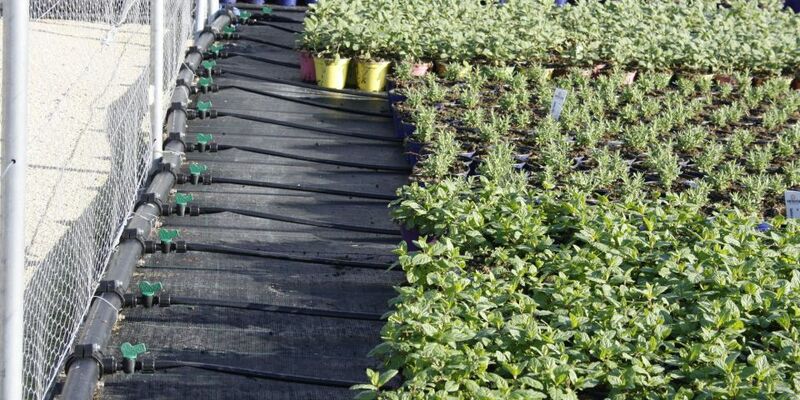 We supplied all products, followed up the installation and tested the automatic irrigation and fertigation system. 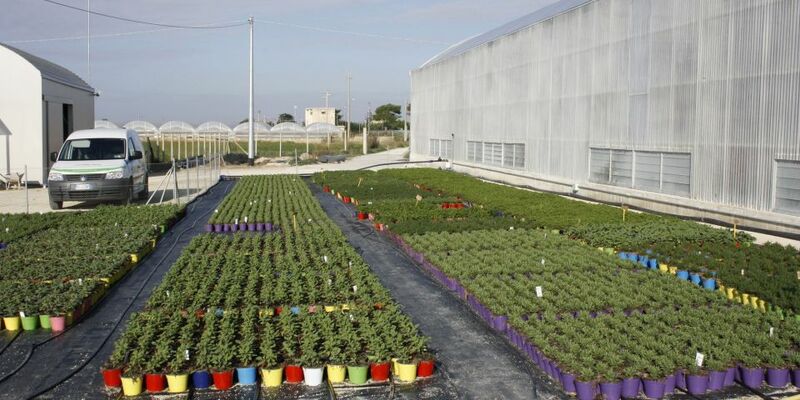 We made an accurate selection of the best products on market in order to reach our goals, considering investment cost control, finding the most suitable solution in terms of equipments performances and durabilty, offering full satisfaction to our customer needs and demands. 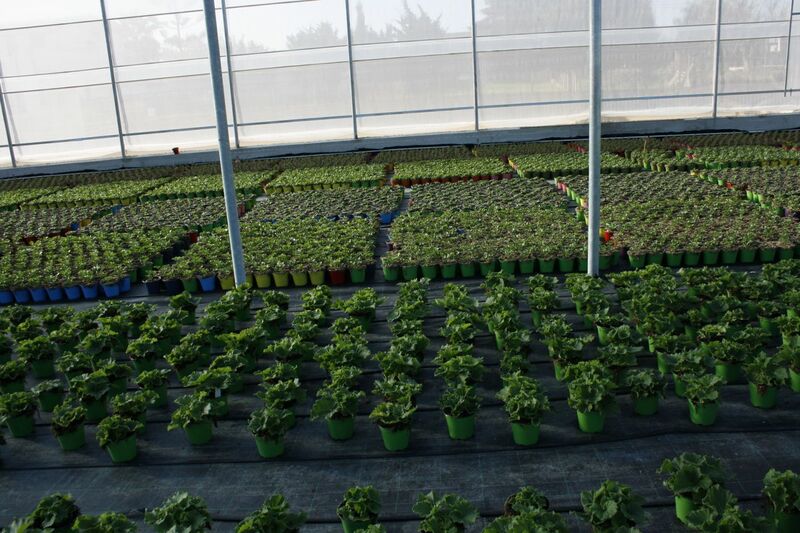 Greenhouse partition in sectors and irrigation-fertigation system implementation starting form the irrigation control room. 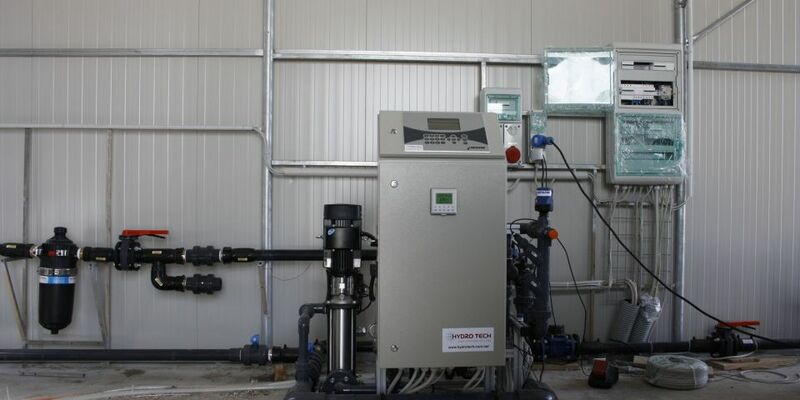 We chose one of the best and advanced fertigation units on market, with multi-channel injection for fast and accurate nutrients injection and standard pH and conductivity monitoring and adjustment. 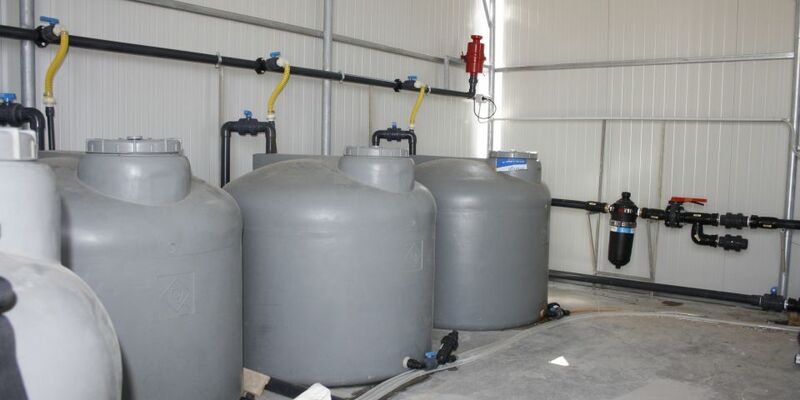 Our team followed step by step the building of the control room, the implementation of the irrigation system, giving advise on all issues. 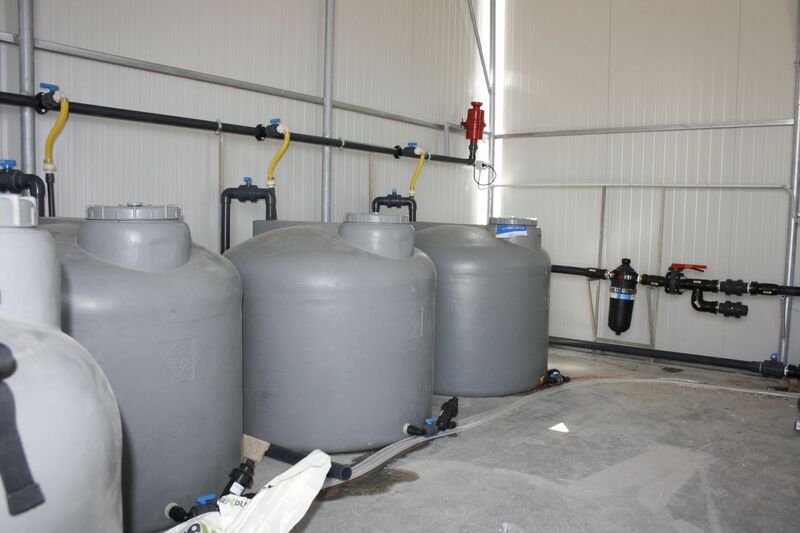 All valves, pipes, driplines, accessories and control valves had been dimensioned by our technical team and provided by our commercial division.